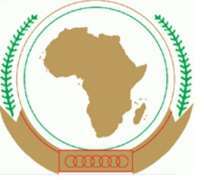 ADDIS ABABA, Ethiopia, January 31, 2014/African Press Organization (APO)/ -- The Chairperson of the African Union Commission, H.E. Dr. Nkosazana Dlamini Zuma and UN Deputy Secretary General Jan Eliasson, heading the UN delegation, have held discussions aimed at strengthening the relationship between the African Union and the United Nations in areas of development, climate change, peace and security. They met in the margins of the 22ndAssembly of Heads of State and Government taking place in Addis Ababa, Ethiopia from 30-31 January 2014. Spelling out the priorities for the continent, the AUC Chairperson invited the UN as well as other partners interested in the development of Africa, to pay attention to the continent's priorities. These priorities include investing in the people through education and equipping them with skills, and knowledge in research, science and technology. Dr. Dlamini Zuma also noted the continent's drive toward combating food and nutritional insecurity, enhancing its agriculture, industrializing, beneficiation of the continent's rich natural resources, and developing its energy and transport infrastructure. “We want to industrialise, grow our blue and green economies, and boost our intra-African trade, “she reiterated. These areas remain very critical while the continent strives to better communicate within itself and with the rest of the world, telling its own narratives, overcoming the current challenges of peace and security, while at the same time dealing with the other basket of issues around governance, human rights and the rule of law. The Deputy Secretary General expressed the need to intensify development cooperation in crisis areas, as well as in areas of human rights and the rule of law. He hailed the excellent relations between the Commission and other UN agencies. He highlighted the UN's expectations for input from Africa's 54 member bloc to greatly inform the post-2015 agenda. Sharing her concerns about conflict, Dr. Dlamini Zuma noted the need to conceive strategies aimed at managing diversity, pointing to the need for strong institutions which will help in managing and preventing violent escalation of conflicts. “If there were stronger institutions in South Sudan, Central African Republic or elsewhere, the ongoing situations would have been prevented. Intra party conflicts happen every where,” she remarked. She called for deeper analysis and understanding of the root causes of these conflicts, including the role of external actors, given that these groups have lived together in the past. The AU and UN delegations also exchanged views on the regional oversight meeting holding in the sidelines of the Summit, during which the technical support committee is expected to produce a plan of action on the peace, security and cooperation framework agreement of the Great Lakes, signed in February 2012.